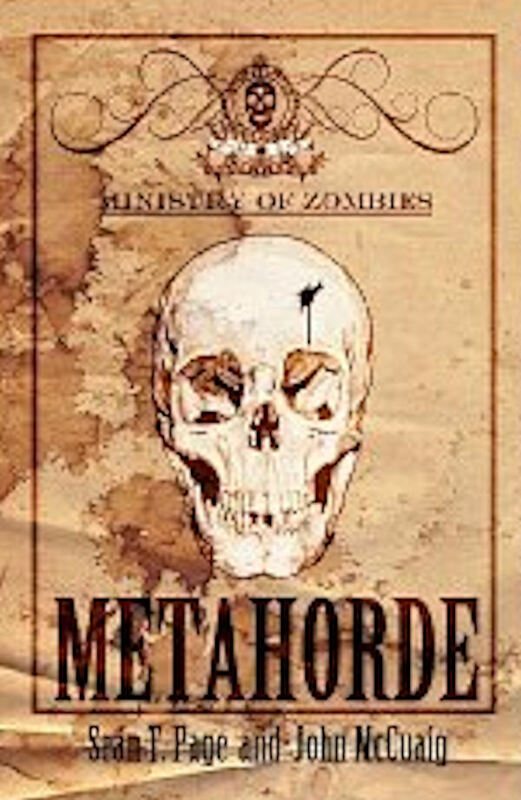 Meta-horde keeps you on the edge of your seat from beginning to end. Sean T. Page and John McCuaig have made the zombie apocalypse come to life for readers all over again in an exciting way! What’s left of society is reeling about how they’re going to survive as the undead gather in large numbers to attack the living settlements. They keep gathering together and soon grow into a horde so large that no known force can stop them; it’s apparent action is needed. Scientists and military join forces to take drastic measures to stop the trend that will most definitely end them all. When their plans fail – intercepted by another threat, a human one – they have to fight harder and think faster to even have a chance against the Meta-horde. Will they come up with a plan in time to save what’s left of mankind? Or will the undead claim everything in a hunger that can never be satisfied? I loved this book. You find yourself trying to figure out what is going to happen next, only to be surprised time and again. It’s a twisted suspense story of survival and I give it 3 QUILL! This entry was posted in 3 Quill, Adult Horror, YA Horror and tagged 3Q, Adult Horror, apocalyptic, horror, John McCuaig, Meta-Horde, Sean T. Page, YA, YA Horror, zombies. Bookmark the permalink.